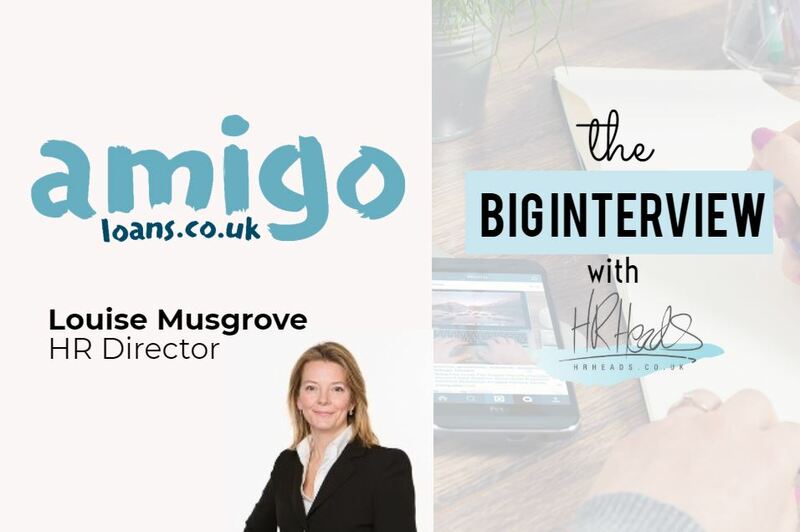 The HR Heads Career Profile Series, The Big Interview, launched in 2017. We speak with senior HR Leaders within our network to find out what ‘a typical day in the office’ looks like, what they consider their greatest career success to be, the advice they’d give their 20 year old self and the essential skills required to hold a senior HR position. Hi Louise! Tell us about your HR journey to date. I started my career at IBM which I always refer to as ‘my university of HR’! I was very lucky because at the time I joined, HR was highly respected and seen as a strategic, enabling function with a deserved chair at the global board. I had a great mentor who was very highly regarded and expected a lot from me – so I was set very high standards right from the off, but I always felt very supported. That first role with IBM provided me with experience across many different business areas, spanning multiple countries and with lots of different stakeholders. There was a huge amount of change while I was there, and I now look back and realise how lucky I was to be part of that – I got such a rich and diverse amount of experience! I eventually left IBM after about 7 years, because I was offered a HR Business Partner role with Chase Manhattan in Bournemouth, which I was very interested in. My role was based in the global IT and Operational hub – and it gave me the management experience I needed. Based in Bournemouth, it had a large local presence, and so understanding and managing that at a local level was something I found really interesting. Within 6 months of me joining, Chase Manhattan merged with J P Morgan and became J P Morgan Chase. This created a fantastic opportunity to get involved in lots of post M&A projects as the companies combined. I was asked to lead a project to outsource our IT Infrastructure provision which I found absolutely fascinating – I learnt a huge amount. The scope of the project was global and I was asked to spearhead the people workstream for Europe, Middle East and Asia. I had to step from my Professional Services background into Financial Services which was a significant change for me, and Chase and J P Morgan were very different culturally too, so the dynamic was fascinating – but very challenging! I had lots of contact with and therefore built great relationships with my colleagues in New York, and I really enjoyed the travel and diversity that brought with it. After the merger, I was asked to focus on the talent acquisition offering for the combined companies – because they had established that it was no longer fit for purpose and needed a fresh set of eyes. I was asked to pull together recommendations and implement those to create a centre of excellence – which is no easy task! I faced lots of demoralised in-house recruiters in one camp, an outsource model in the other – bringing them together to create a new proposition was both interesting and stretching in equal measure. Following a period off for maternity leave, I decided to leave J P Morgan Chase and relish the time I had being a new mum, but eventually I was drawn to a new role working in London for the Royal Bank of Canada. This was around the time of the banking crisis and so the context within FS turned on its head. The role was alright, but it just didn’t challenge me though – and I had become aware of Liverpool Victoria (LV=). At the time, it was a sleepy mutual that was in the process of reinventing itself, and that really appealed to me. So, I applied for a role with LV= which I got – and at the time of joining LV= was growing at a tremendous rate (the company had just 1500 employees when I joined, and when I left the headcount was c.6,500!). I realised that HR hadn’t been very well regarded in the past so I saw an opportunity to go in and change that and show HR as the value add function I knew it to be. I worked hard to do that and loved every minute of my time at LV=, supporting the business to achieve its goals. As I developed into a Leadership role with LV=, I had the opportunity to shape and influence the overall business strategy which was really rewarding for me. One of my personal highlights was being a founding member and setting up a HR networking group to empower women. When my time came to move on from LV=, I joined a consumer credit card business (a small Fintech) called Vanquis Bank. At the time, the appeal of this role had been that the CEO was looking to develop a sustainable approach to talent management, helping professionalise the HR team and shape a strategy that would support the necessary cultural change. They knew that unless they invested in their people, they would struggle to grow. I came in as the HR Director, and because it was a highly regulated business (both by the FCA and PRA), the role came with some onerous responsibilities, but it was incredibly exciting to build from scratch, and put solutions in place that put the business on a much stronger footing. I’m now back in Bournemouth with Amigo Loans. It’s a very young company, and following a successful IPO last year, is now a listed FTSE 350! A little like Vanquis, there is a lot of work ahead, but that’s the draw for me – I love a blank canvas. Most things work really well here, but like all businesses there are some things that just need tweaking. We all share a passionate ambition to grow the business, and the need to now develop and future proof the business is key. Exciting times ahead! That is quite a career journey! What does your typical day in the office look like? Every day is different right now. From building relationships to understanding the business journey and formulating ideas to see how we might improve things… it’s the variety that I really enjoy. As well as the variety, what else do you love about your role? I love that as an HR Professional, you’re at the hub of the business and you really can affect change, future proofing the business. I love the interaction of people across the business – mentoring, coaching and supporting others development is so rewarding to do so I always get as involved in that as I can. I always learn a lot too, we work within a very dynamic structure and so it’s easy to put your arms around the company and feel you can make a difference! Are there any aspects of your role that you find challenging? Yes of course, probably trying to pace myself and ensure (particularly in the early days) I don’t lose that ‘fresh set of eyes first look’. It’s so easy to quickly slip in to the culture and trying to keep slightly removed, to understand how the company is viewed from a variety of angles, can sometimes be a difficult balance to achieve. Looking at the next 12 months, what lies ahead for you? I’m really looking forward to building my team capabilities. I think of it as a journey! At Amigo, there are so many great elements to enjoy as an employee, and going forward there are lots of really fun and interesting things we’ve identified we can do to build on what we have achieved so far. Believe in yourself. Your gut instincts are usually spot on – so trust your intuition and don’t be fearful of asking the obvious question. I didn’t really appreciate it at the time, but some of my most successful career chapters happened when I took risks – and felt personally very out of my comfort zone! However scary it may feel at the time, it’s good to feel stretched and uncomfortable – go with it and ensure you have the right sponsors and mentors around you and you will learn, develop and succeed. Be courageous! Get really saturated in the business agenda and make sure you understand the challenges and the context. Also, you must understand the levers can provide you with greater insight to influence and engage your stakeholders. Those are great top tips! To take that further and progress to an HR Leadership position – what are the key stills an individual would need? Influencing skills, business acumen, and the ability to keep things simple and jargon free…. oh, and being able to spin lots of plates! Tell us about you – what do you like doing in your spare time? I enjoy sailing, going for long walks, and spending time with my family and friends. I also find travelling a really fun past time! What about work / life balance – is it important to you? Yes, it is very important to me. To achieve this, when I’m in my own time I don’t look at emails, take time out to exercise and keep myself healthy and fit, and I carve out special time to spend with the family and with friends. I’ve started Yoga which is fabulous for my wellbeing! If you’d like to be involved in ‘The Big Interview’ series, please reach out to us – we’d love to hear from you!